My bathroom project from hell after the toilet was removed. Norm Abram I am not. Well, to be accurate, in this instance, I am no Richard Tretheway. 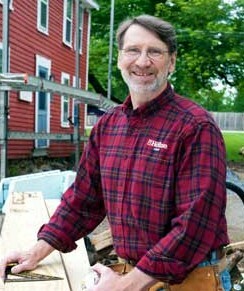 His claim to fame is his role as the plumbing contractor on “This Old House,” the long-running home-improvement TV series on PBS. 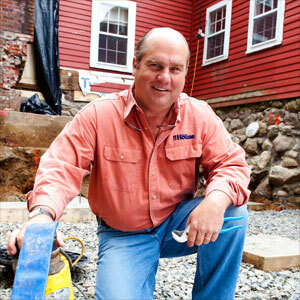 Abram is the show’s master carpenter — a guy who can seemingly do anything when it comes to home repair.. I could use a hand from either one of them. Several months ago — actually, it may have been more than a year ago — my wife said she wanted to replace the toilet in our downstairs bathroom. And she brought home two toilets she had been given by people who remodeled their bathrooms. Both of these toilets were better than the one we had, according to Nancy, who also ripped the carpet out of the bathroom because replacing the commode would create an opportunity to put in new flooring. My suggestion to clean up the old john, buy a kit and replace all of the working parts in its tank wasn’t good enough, I guess, because Nancy views that toilet as an embarrassment. So, while she was gone Sunday, I decided to finally replace the old toilet. But I quickly encountered a problem: There was no valve to shut off the toilet’s water supply. This required me to shut off water to the entire house and place a call to my friend, Nick, who is a retired plumber. With his coaching and supervision, I was able to put in a shut-off valve on the water line that runs to the toilet. With the water shut off, I continued until I encountered another problem: The bolts that fastened the toilet to the floor were rusty and corroded. They would not loosen. My neighbor and his saw came to the rescue. After he cut off the bolts, I picked up the toilet and carried it outside,. No one had painted behind the toilet tank, which means a bare spot has been exposed and I’m going to have to paint at least one wall in the room. My guess is that won’t be good enough and we’ll wind up painting the entire room. Someone had incorrectly installed the flange, the cast-iron part that connected the toilet to the sewage pipe. But cavalierly cutting off the rusty old bolts means the flange has to be replaced. Otherwise there would be no way to connect the new toilet to the floor. And that’s where I’m stuck. Tretheway would know how to fix my faulty flange. But figuring out how to do it will take me awhile. And I’ll probably have to seek the help of one of my many friends who have more practical skills than I do. Not that I’m in a big hurry. Heck, I waited almost a year before even starting this cursed little project. And before I fix the flange, I need to paint the wall and put down some kind of new flooring. Then, I’ll be ready for a new flange, followed by a new toilet. All of this will probably be delayed by yet-to-be-discovered hurdles. It might take another year before I finish this little project. Knowing this leaves me grateful for one thing and one thing only: At least we have another toilet in the house,. 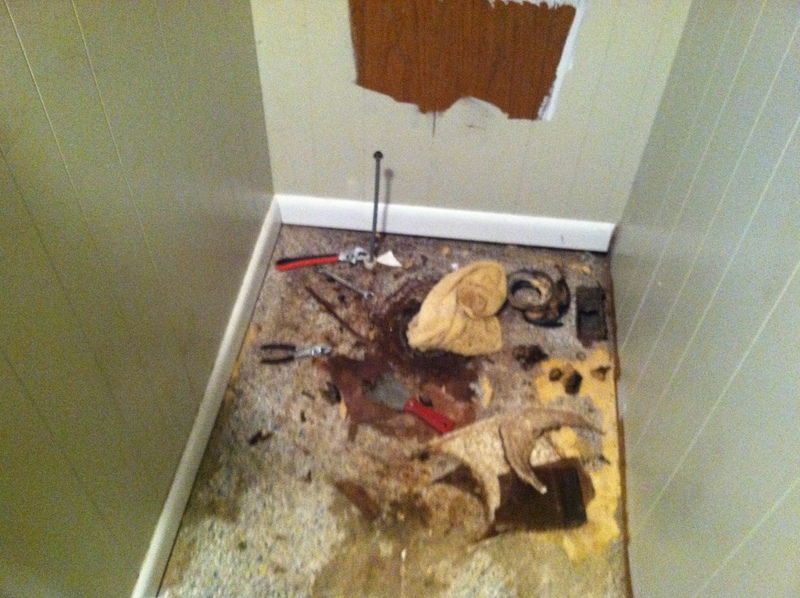 “This old House” may be “this old man” before toilet is repaired–lol! !